• This part of the project took a lot of time. In fact, I'm not done. 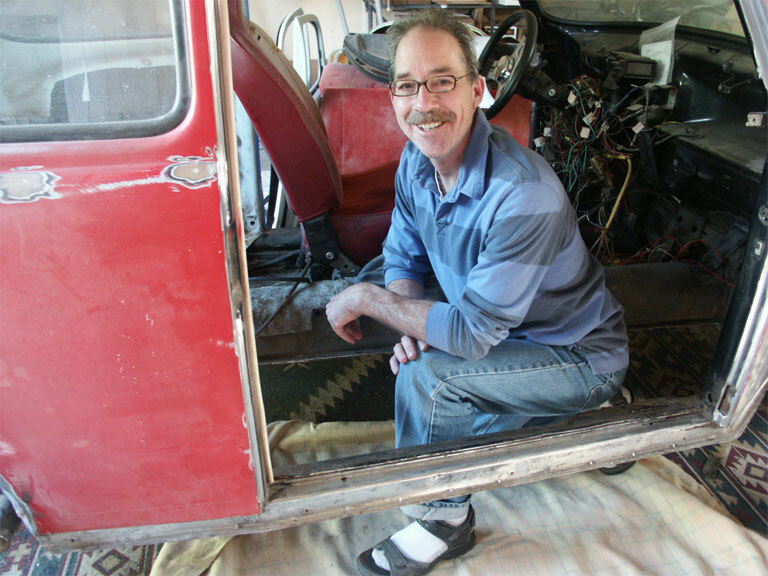 • Once you start ripping out the old carpeting you find out just what's gone on with a vehicle after decades of use. 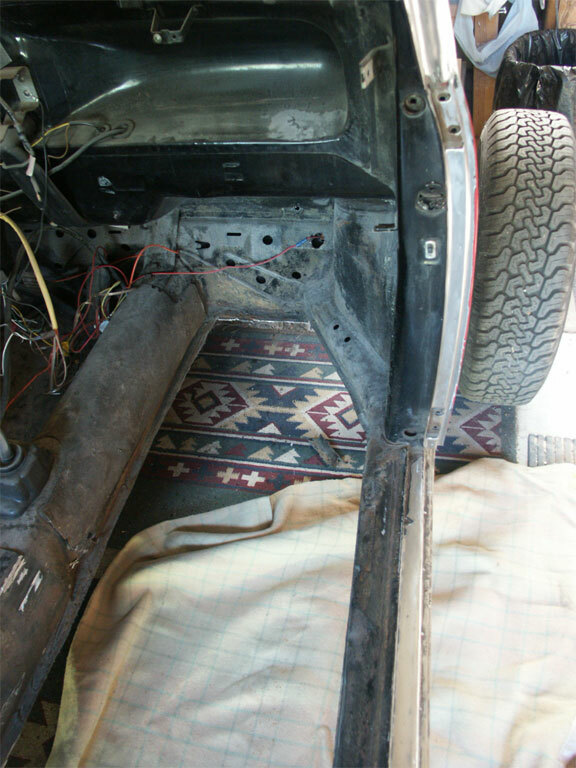 It's also a good way to get to some more wiring. 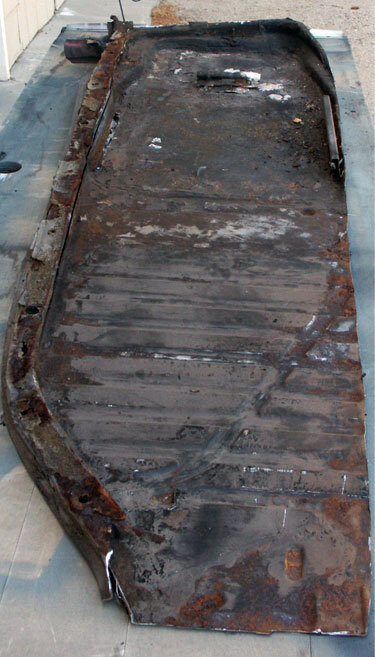 • Side floor pan. I've already cleaned it out and removed the mounting pedestal used on Super Beetles to hold the front of the stock seats. 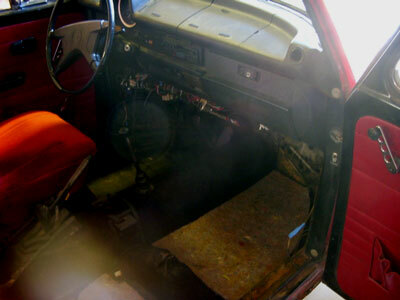 • The stock seats are shot, so those will be replaced. • You're going to need some tools. I got by with a drill, hammer, chisel and a lot of cut-off wheels. 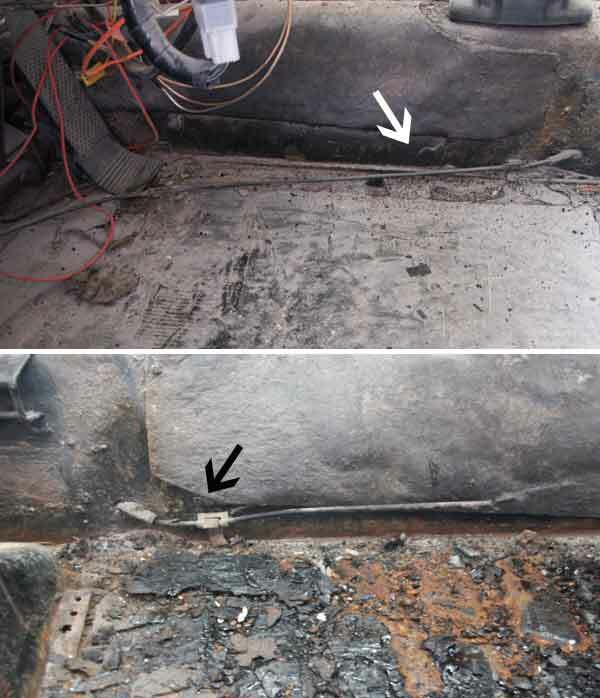 • Steel tubing along the floor tunnel. Defunct; supposedly once used to control side heat flaps. I left the driver's side one intact, but the passenger side tube wasn't connected to anything anymore, so I cut it and sealed the hole. 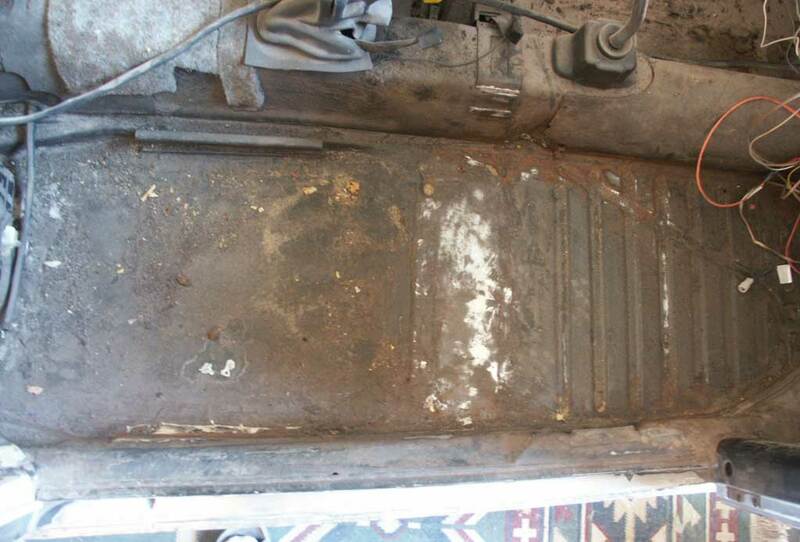 • To remove this right floor pan I used a nice hand drill and carbon cutoff wheels. Once I had room to work, I used hammer-and-chisel to undo the riveting on the pan. An air-powered impact chisel would have been nice. 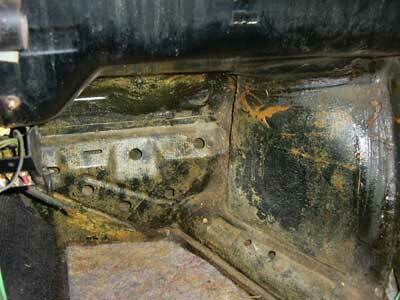 • Seen here is what rust you'll find on an old VW floor pan. • You will want to take the door off before gutting the interior. For me it was a pain because the big screws holding them were rusted shut or something. Even a driver and all the lubricant in the world wouldn't budge them. Finally I took a torch and warmed them up. Old tricks are the best tricks. 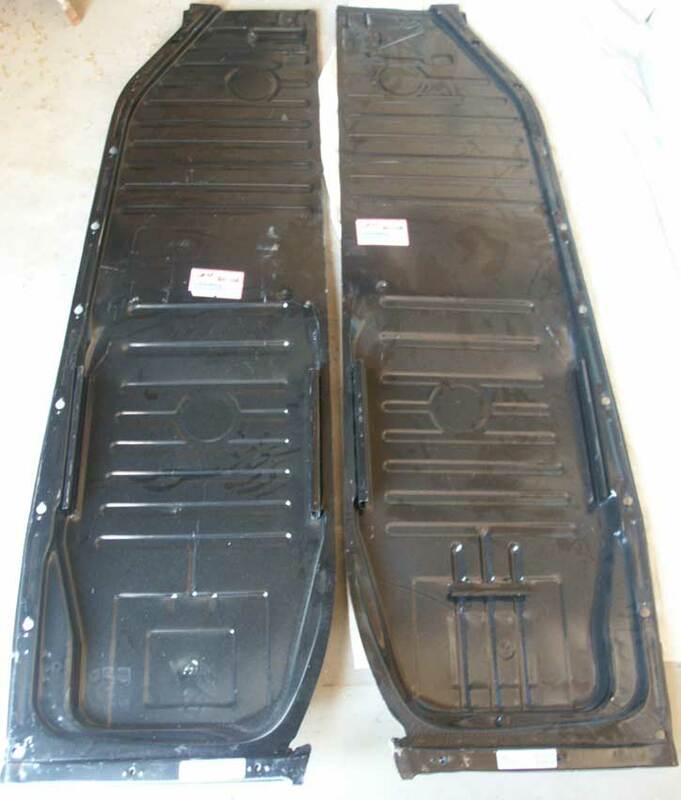 • Before doing much with the floor pans you need to make sure they fit right. Some cutting and bending will be involved. You want a drill and a friend with a welder to spot weld for you. Otherwise you will have to put in a lot of rivets. • When you get the new floor pans for this model Beetle, they're flimsy, not as thick as for other models. So I took off the paint. • On the underside I prepped them and laid down about four layers of fiberglass, then I sealed that with weatherproof sealant. 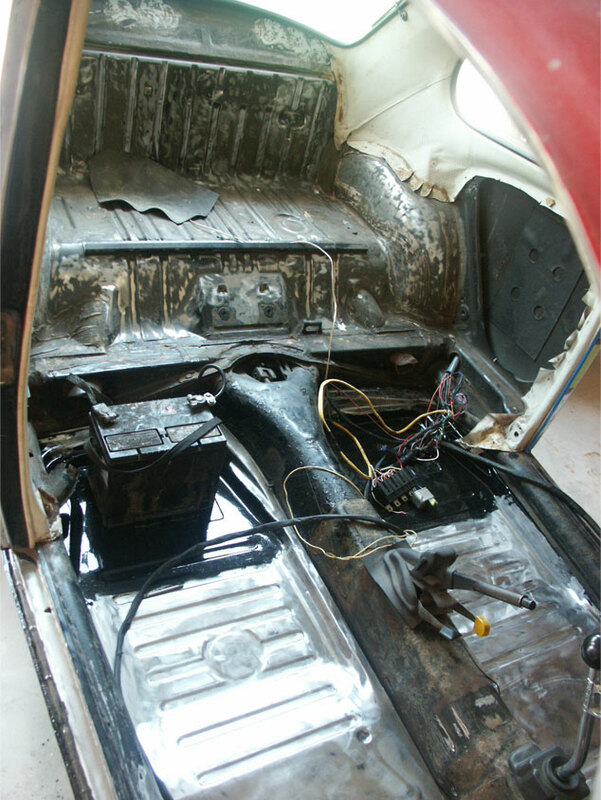 Rear interior gutted and cleaned. Making it look this clean is a mess.